As you stand in the Indiana War Memorial Plaza, look north and south and take a moment to consider the vast scope of this area of remembrance. 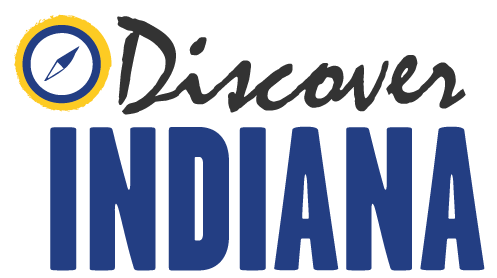 Although the plaza is now dedicated to all of Indiana’s veterans, it was initially designed specifically for the state’s World War I veterans and as the national headquarters for the American Legion. Anchoring the southern end of this green expanse in the heart of the city, is the Indiana World War Memorial, begun in 1926 and completed in 1965. World War I memorials often differed from earlier war statues and structures in a number of ways, but the most important difference is that rather than overtly displaying national triumph—such as with the Soldiers’ and Sailors’ Monument (three blocks to the south)—World War I memorials also serve as places of collective mourning for soldiers killed on the modern industrial battlefield, especially for those with no known grave. The Great War made its generation struggle in new ways with the profound consequences of armed military conflict. It is also important to keep in mind that most Americans killed during World War I were buried in American cemeteries throughout Europe—visiting a loved one’s grave was impossible for many Americans—a key difference from the Civil War. 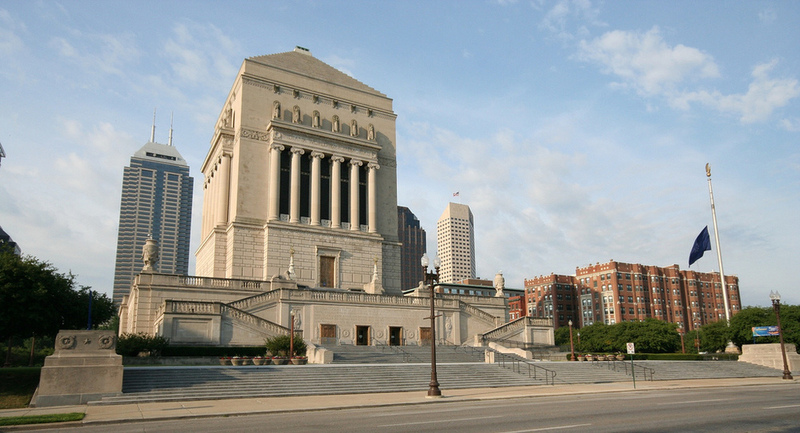 The Indiana World War Memorial is one of the only American World War I Memorials within the continental United States. Many others exist in Europe, but their existence is less widely known. 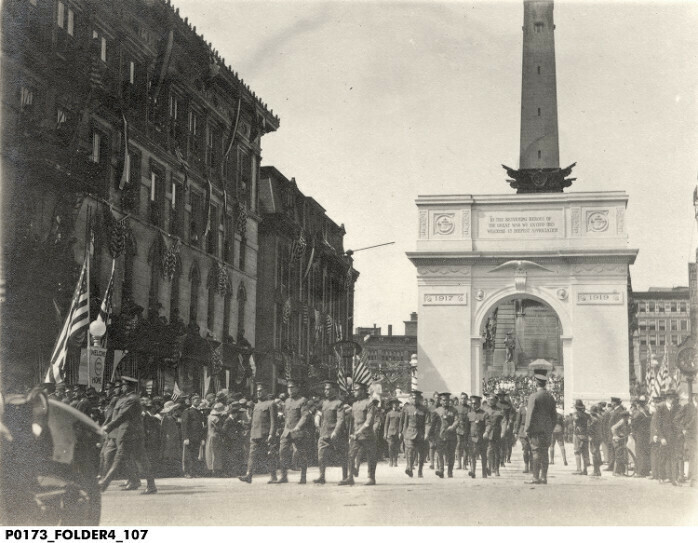 The decision to base the memorial in Indianapolis stems from a desire to attract the American Legion, an organization of WWI veterans, to locate its headquarters outside of Washington, D.C. 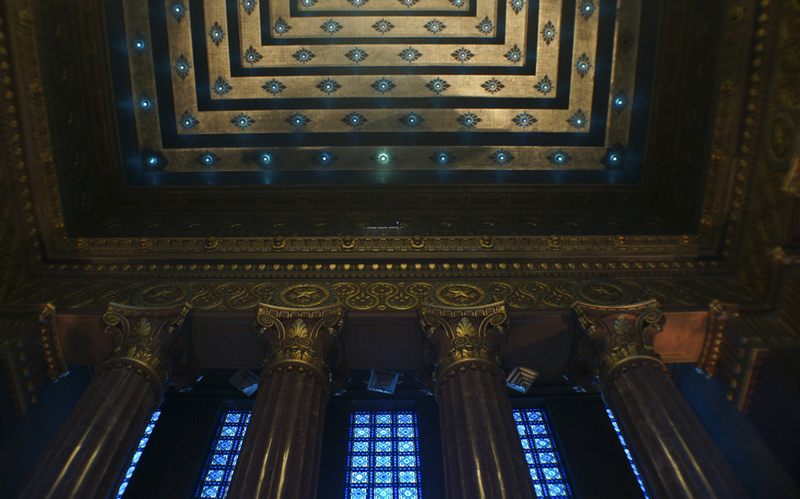 In addition, the memorial was meant from the outset to compete with European memorials. 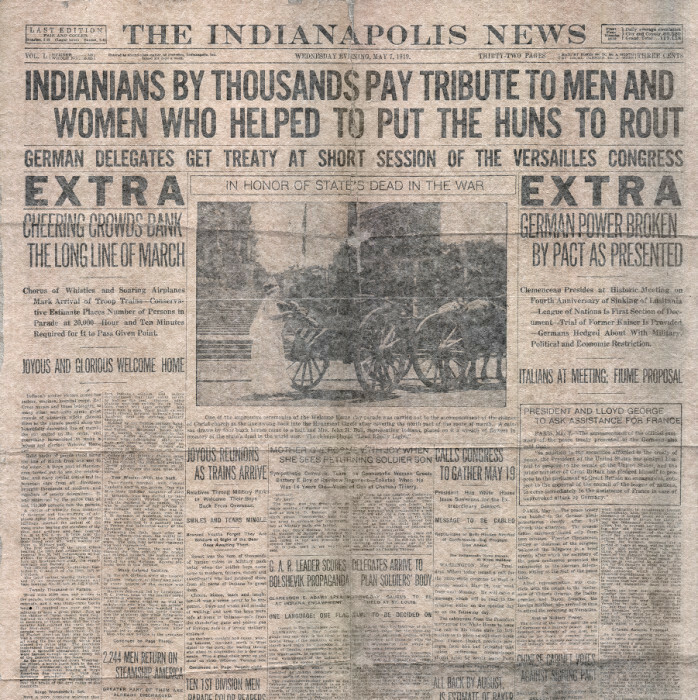 Local newspaper articles proclaimed that it vied with “the best” memorials in Europe and would only enhance Indianapolis’ reputation. 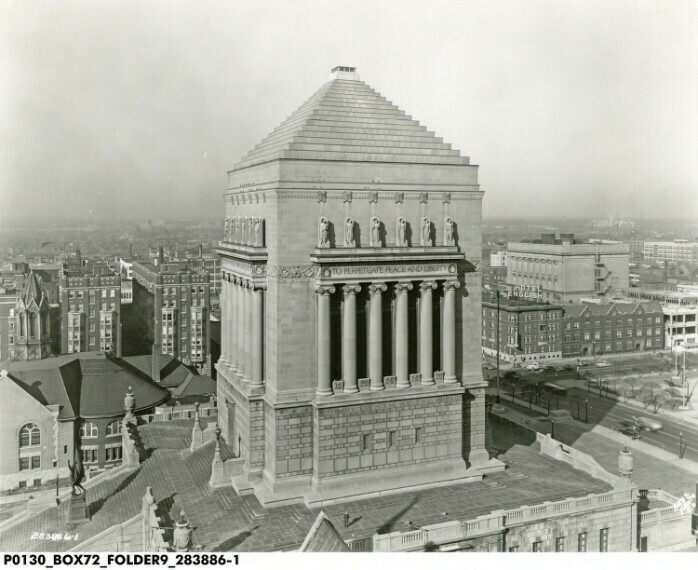 The war memorial’s opening in 1924 served as a battleground over the memory of World War I. This was a time of social upheaval; veterans were campaigning for promised benefits, and many Americans saw the war as a tragic waste. 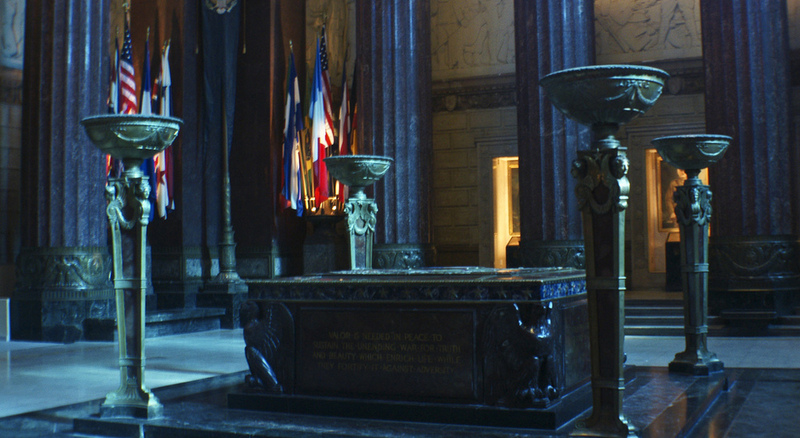 The memorial’s opening was an attempt by the American Legion to give a public image of national unity and meaning during a time when the very purpose of war was being questioned. Although this memorial offered a nationalist narrative in the wake of World War I, it also served a very real and emotional purpose for family members of those killed during their service overseas. 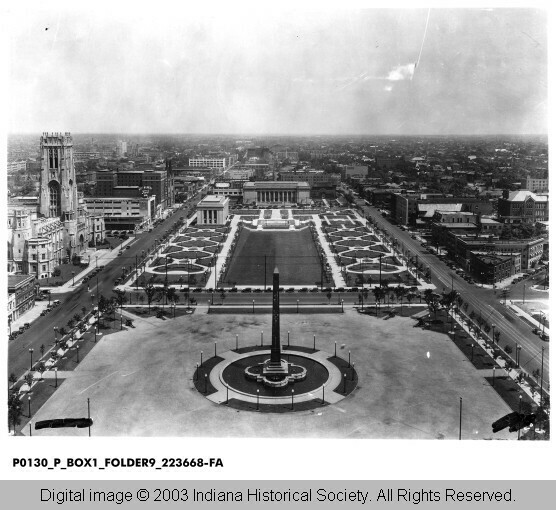 During the 1950s, the Indiana World War Memorial was the focus of several controversies regarding anti-communism. Most famous is the American Legion’s refusal to allow the Indiana Civil Liberties Union a meeting place within the memorial. Other points of friction included the presence of an anti-communism school within the memorial and whether or not World War II veterans should be included in the memorial’s scope. 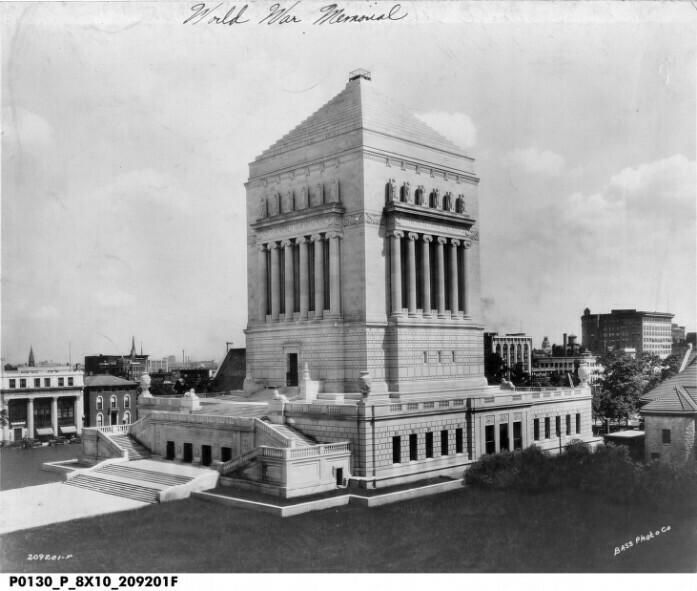 Nicholas K. Johnson, “Indiana War Memorial,” Discover Indiana, accessed April 25, 2019, https://publichistory.iupui.edu/items/show/25.